Beautiful Shruti Haasan wearing a Long blue Maxi dress with a styles knot flowing from the top front of the dress till the hem of the maxi. 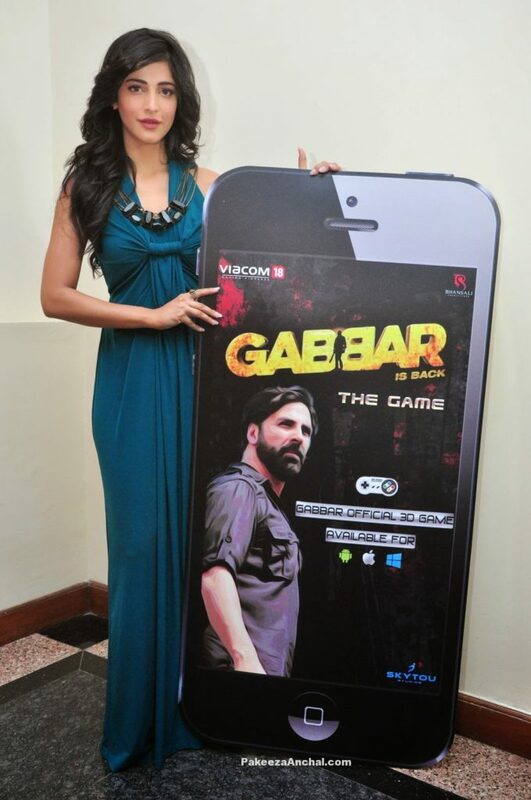 Shruti Haasan wore this Ranna Gill’s maxi dress during the launch ‘Gabbar The Game‘. She looked awesome in this outfit pairing it with pink lips, Black heels and open hairstyle.